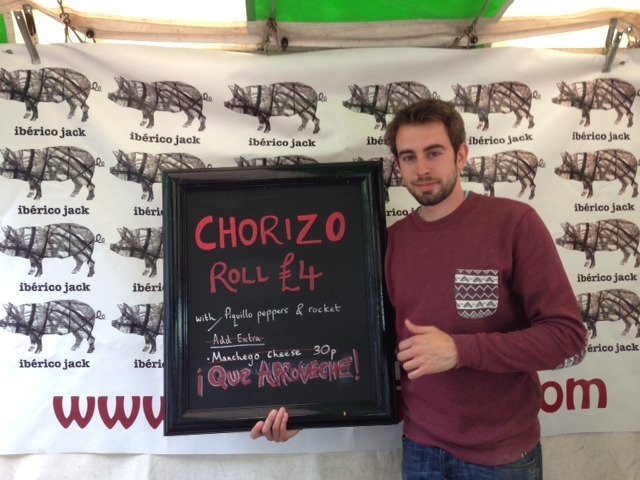 Over on the Events page you’ll find my top ten picks for food and drink events this month. The Sketts Fine Foods Market in Victoria Square and Food Market at the mac are great places to buy hot food to eat there and then as well as treats to take home. Over a leisurely four courses, Portugese and German wines will be tasted at Hotel du Vin and Square Door wine tasting dinners. The art of tea is explored at Itihaas and following Chinese New Year Lap-Fai Lee tutors a Chinese Family Feast evening class at Harborne Food School. Street food fans need to know that Leamington’s own Fresh Rootz make their debut at Digbeth Dining Club, while street food guru Low n Slow is back at Brew Dog for a pop-up. Andy’s signature ribs, alongside ox cheek tacos and brisket fries will be on the menu. The popular Opus Dinner Series continues with Carrolls Heritage Potatoes hosting the next evening. Over at their sister venue Bar Opus, you can shake it up with Sam during an hour long cocktails masterclass. So whether you are food shopping with local producers, learning about wine regions, tucking into street food or mastering new culinary skills it all adds up to being a fabulous February! Sketts is running a new fine foods market in Nuneaton. Held on the second Thursday of the month from 9am – 3pm, their stalls include breads, meats, chutneys, cakes and cheeses from local producers. Norbury’s – locally produced cider. Next dates are Thursday 13 November and Thursday 11 December. The quest to get out and about at lunchtime continues with my latest foodie find. Two pizzas stand out from their menu – Fishbone a 10″ pizza, with anchovy fillets, black olives and mozzarella plus Sweetza with butterscotch sauce, sliced apples with a cinnamon and all-spice mix, finished off with mixed chopped nuts. 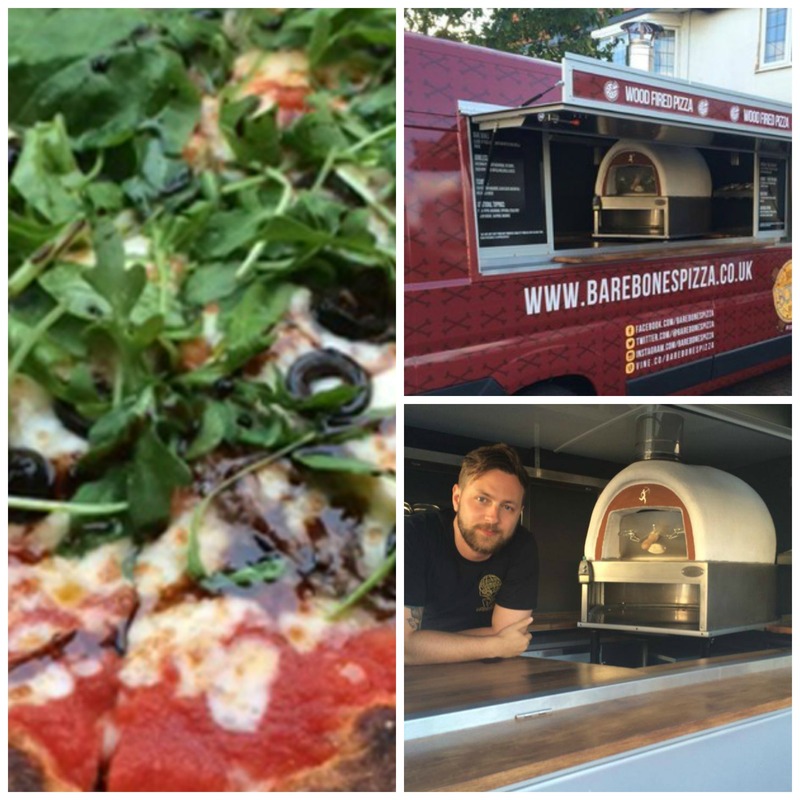 Bare Bones pizza have been at Sketts market in Victoria Square, Mell Square in Solihull and Leamington Spa’s Eat Street recently – just follow the queue to find the delicious thin, crispy based pizzas! 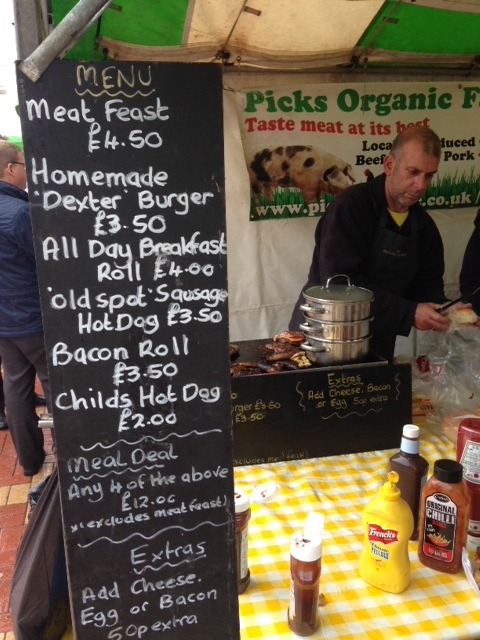 The persistent rain couldn’t dampen the spirits of the twenty traders at Warwick University’ s new food market yesterday. Students and employees flocked to the piazza for a new market by Sketts. The olives, preserves, eggs, fruit and veg stalls were quiet, as it was the hot food attracting everyone’s attention. 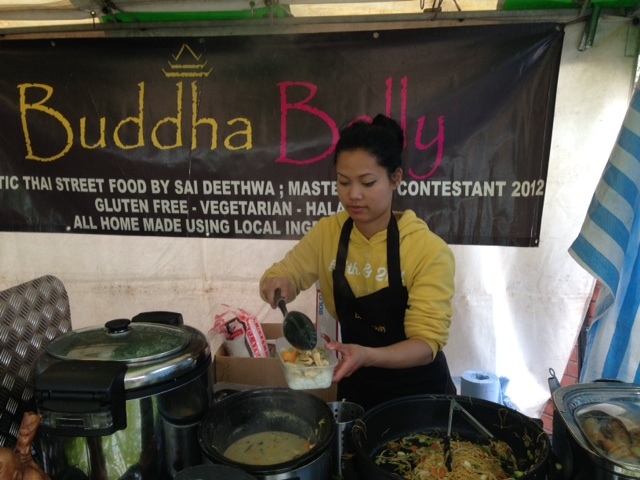 2012 Masterchef contestant Sai Deethwa is a regular at the Warwick and Stratford Farmers Markets and her Buddha Belly spicy vegetable noodles were selling well. 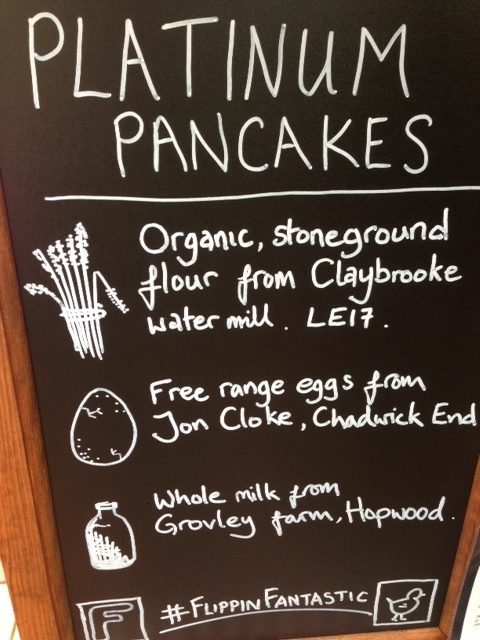 Ten minutes before the market closed, I managed to buy a pancake with Belgian chocolate sauce from Platinum Pancakes, who source their fresh, local ingredients within 50 miles of Hall Green, Birmingham. 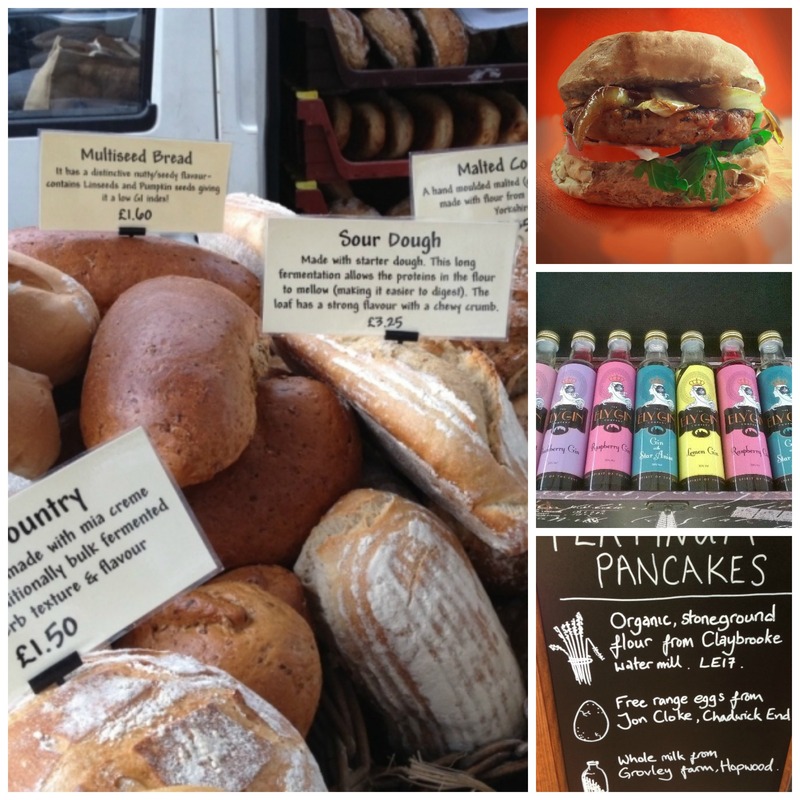 The next market is Thursday 20 June 10am – 3pm. New! 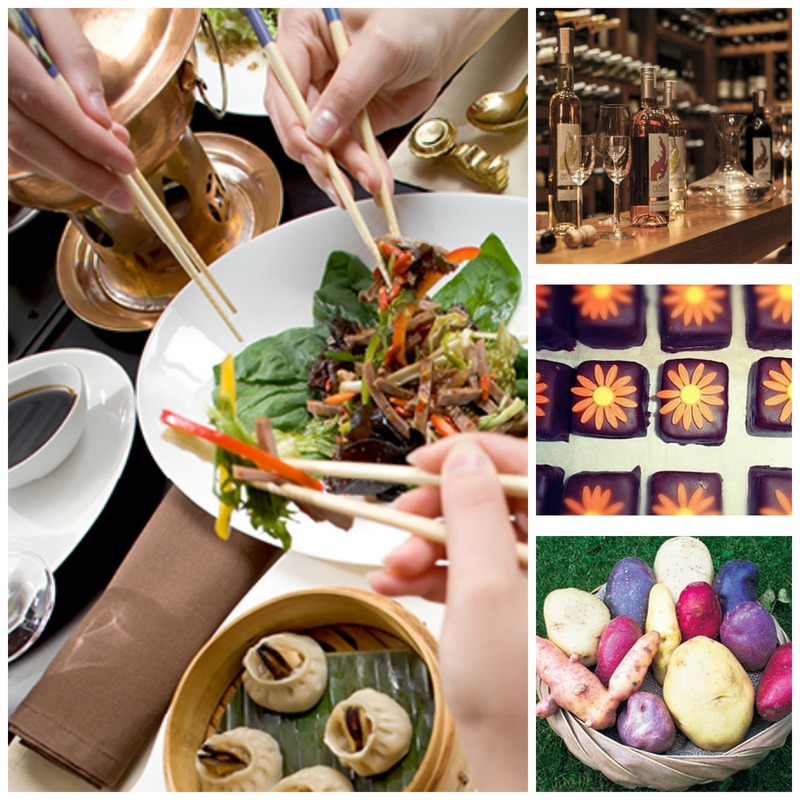 Guide to dining in Warwick now on the Destinations page. From award-winning gastro pub The Rose & Crown and traditional tea shop Thomas Oken Tea Rooms to fine dining at Tailors and steaks at The Lazy Cow, this medieval market town has a lot to offer lovers of good food. National Markets Day starts on Saturday 23rd June in a two week campaign to revitalise town centres. Farmers market organiser Sketts is hosting events throughout Warwickshire and providing additional marketing support for stallholders to encourage visitors .Stalls will be available from £10. Farmers Market operator Sketts will be running a two day Chilli Festival in Brindleyplace Birmingham on Friday 21st and Saturday 22nd October. Chilli-related produce such as jam, chutneys, breads, oils and chocolate will be on sale. The fiery festival will also feature cookery and cocktail demonstrations.